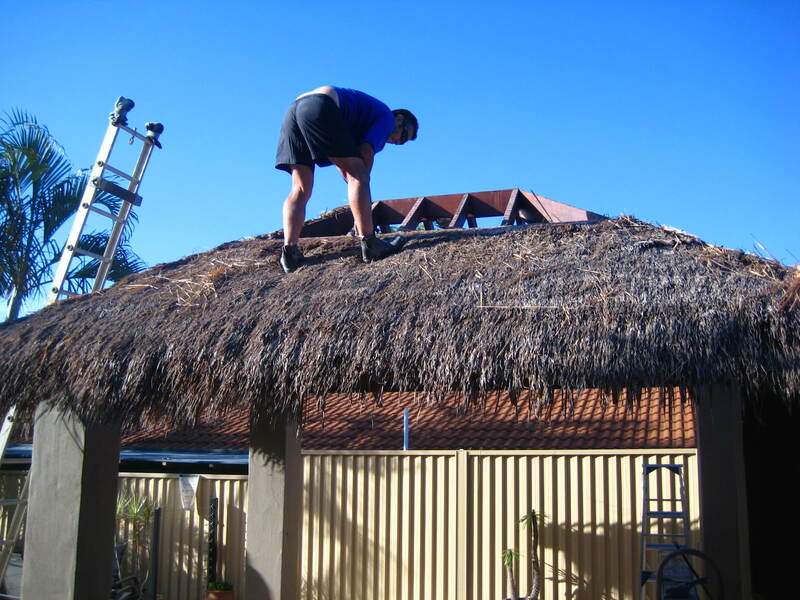 I have a 6×4 thatched roof in Darwin and would like to replace the roof with shingles and the rattan underlay. How do I get this happening? Hi John, If you could send me the exact roof measurements including the overhang, hip length, ridge length and Pitch, I can send you a quote. Will also need the delivery address for a freight quote. Can email me on richard@gazebopergola.com.au. I’ll quote you separately on the Marathon shingle (Slate Look) and the Cambridge shingle (Natural Wooden Profile). 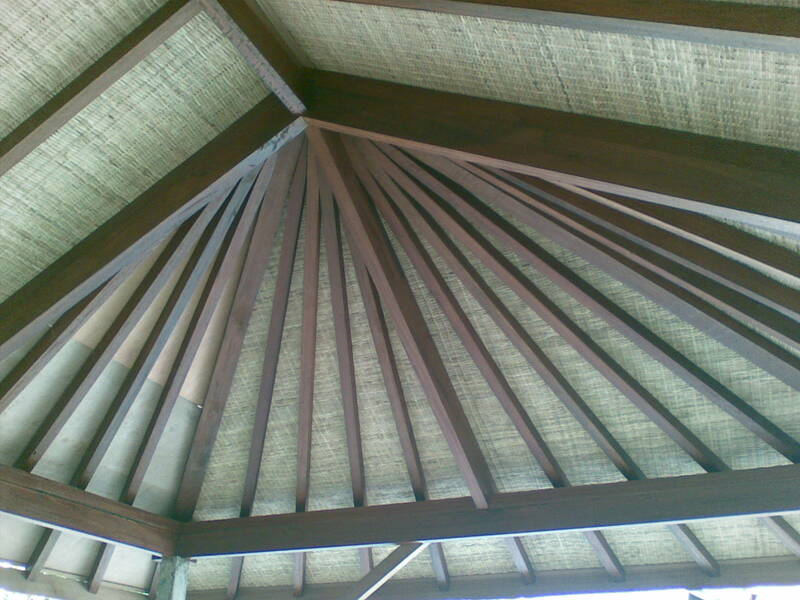 The gazebo with the rattan underlay was one we built in Bali so we were able to buy the rattan locally. You would need to visit your local Indonesian importers to see if they sell the rattan, Bamboo mat or something similar.